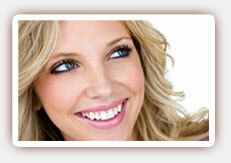 Good oral hygiene helps to prevent trouble in the mouth, such as the development of cavities and serious gum disease. However, when teeth are not cared for properly, bacteria build up in the mouth forms along and underneath the gum line. These bacteria can then make their way into the blood stream and travel to other areas of the body, resulting in damage to cells and the development of serious disease and illness. New research is showing a link between lack of proper oral health care and the future development of dementia. Dementia is a degenerative brain disease where sufferers lose memories, cognition, and their ability to properly function. Once it develops, it progresses rapidly with no known cure as of yet. While there is no specific known cause or set of causes for dementia or related illness, it appears that poor oral hygiene is connected with at least some instances of dementia. A recent study showed that those with dementia had high levels of bacteria in the brain, the same bacteria responsible for gum disease. Those who brush their teeth less often than once a day have an increased risk of developing dementia. Good oral care means brushing teeth twice a day and flossing between teeth daily. In addition to at home care, it is important to see our dentist in West Hollywood at least twice a year for preventive care, cleanings, and recommendations.